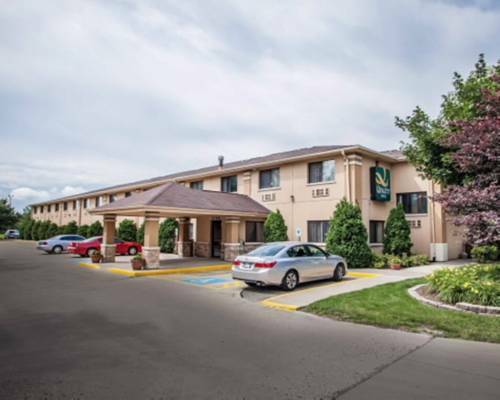 Get more for your money when you stay at our Quality Inn hotel in Beloit, WI, located off I-90 near Beloit College and an easy drive from the Greater Rockford Airport. Here, you can take advantage of full-service amenities like cold-weather hook-ups and access to a fax machine to help you get work done. Additional amenities include free hot breakfast and coffee, a fitness center, indoor heated pool and guest laundry facilities. Our guestrooms will make you feel right at home, with features like microwaves, refrigerators, coffee makers, irons, ironing boards and luxurious premium bedding. Also, earn rewards including free nights and gift cards with our Choice Privileges Rewards program. Pet charge: 10.00 per night. Restored to the way it looked in 1920, when nine-year-old Ronnie moved in with his family. See the bedroom of a future President!